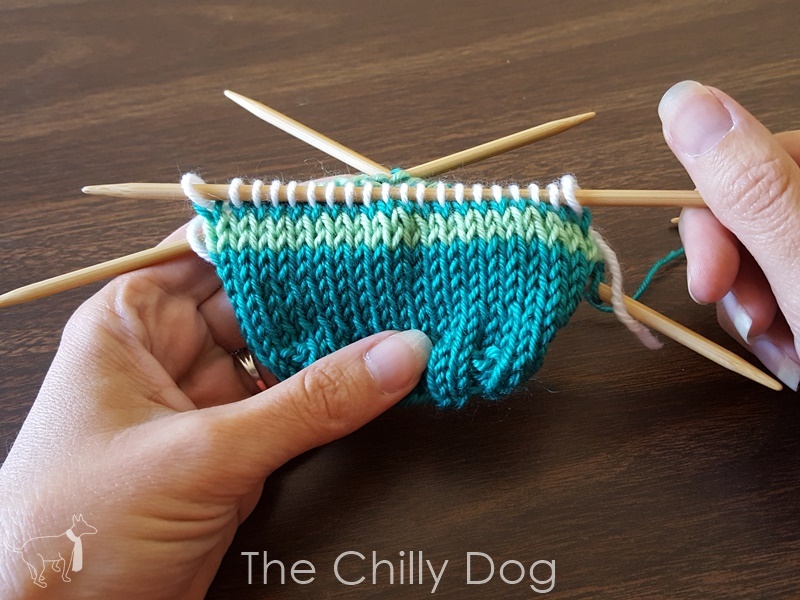 A lot of experienced knitters tell me they are intimidated by sock knitting because of the heel, so over the next couple posts, I'd like to introduce you to the afterthought heel. If you can knit in the round, you can make this heel. 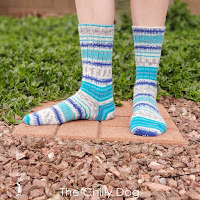 Afterthought heels are common in socks knit with self-striping yarn, because the striping pattern isn't interrupted across the instep (top of the foot) of the sock. Afterthought heels also work nicely when you want the heel of your knit sock to be a color that contrasts with the rest of your sock. 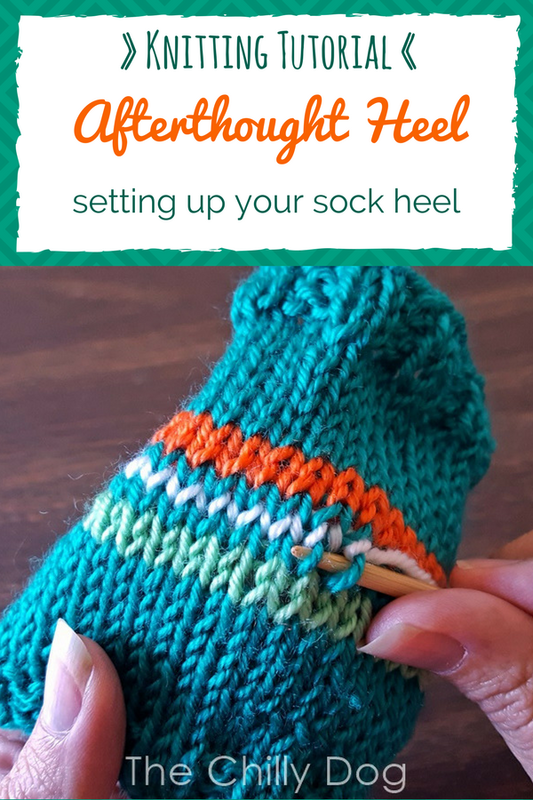 Afterthought heels can be used in socks knit from the toe up or from the leg down. I prefer to knit afterthought heels on dpns, but you could also use the magic loop method. 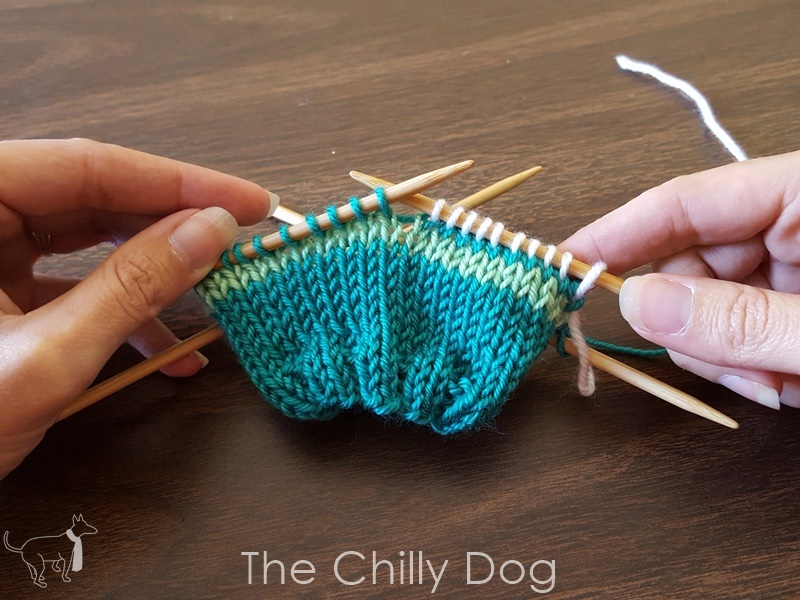 The basic idea of an afterthought heel is that you knit the entire sock, and then go back and insert the heel at the end. 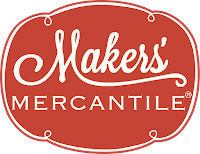 It sounds scary at first, but let me show you how simple it actually is. If you are new to sock knitting, you will likely knit your sock from the leg down. 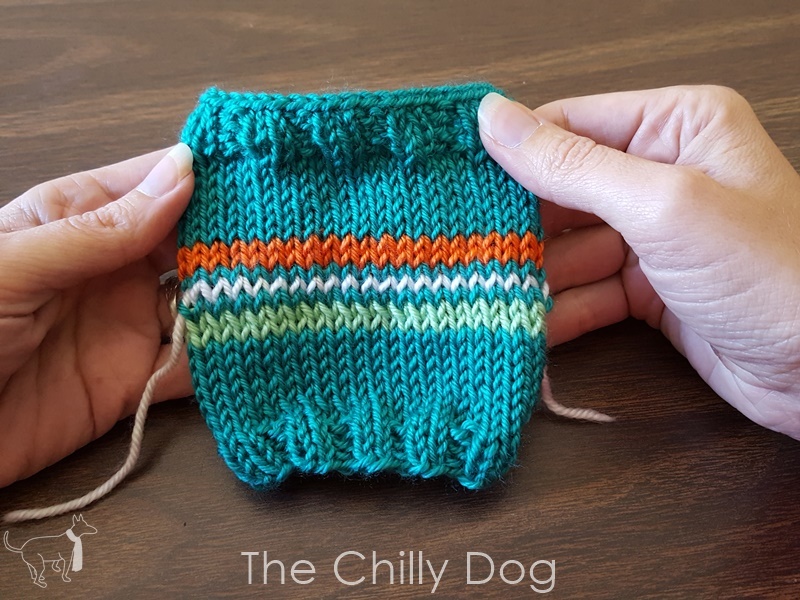 Knit the entire leg of the sock. 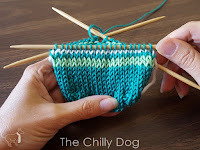 Sock heels are typically worked over half of the stitches. My sample is 40 sts around. I placed the 20 sts for the heel onto a single needle for clarity. 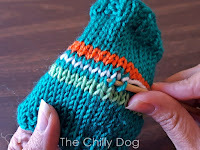 Before knitting the foot of your sock, you need to mark where the heel will be inserted later. With a piece of waste yarn that is the same weight as what you are using for your sock, simply knit across half of your sock stitches leaving the ends of the waste yarn on the right side of the sock. 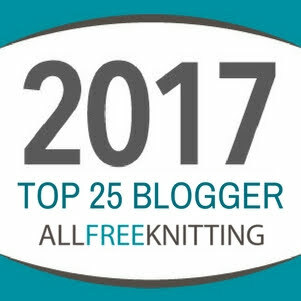 Again, since my sample is 40 sts around, I knit across 20 sts with my waste yarn. As the name of the method implies, there's no need to worry about heel shaping until after the rest of the sock is complete. Simply pick-up your main yarn and continue by knitting directly into the waste yarn stitches. 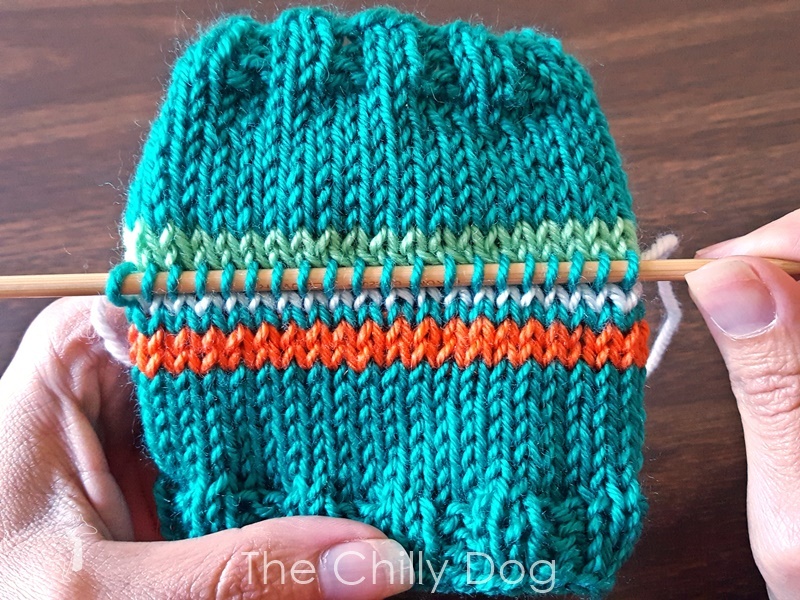 When you reach the end of the waste yarn stitches, just keep going with your sock pattern. 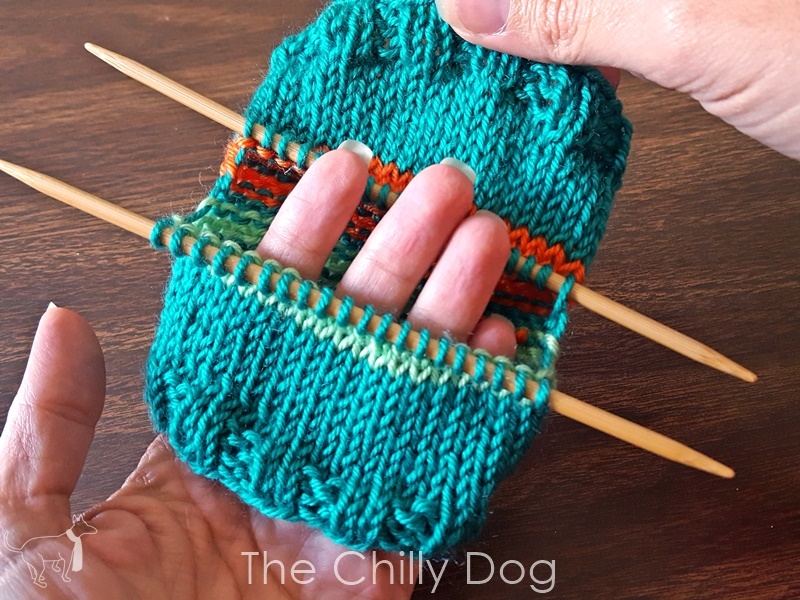 Since I am just focusing on the heel, I did not make an entire sock. 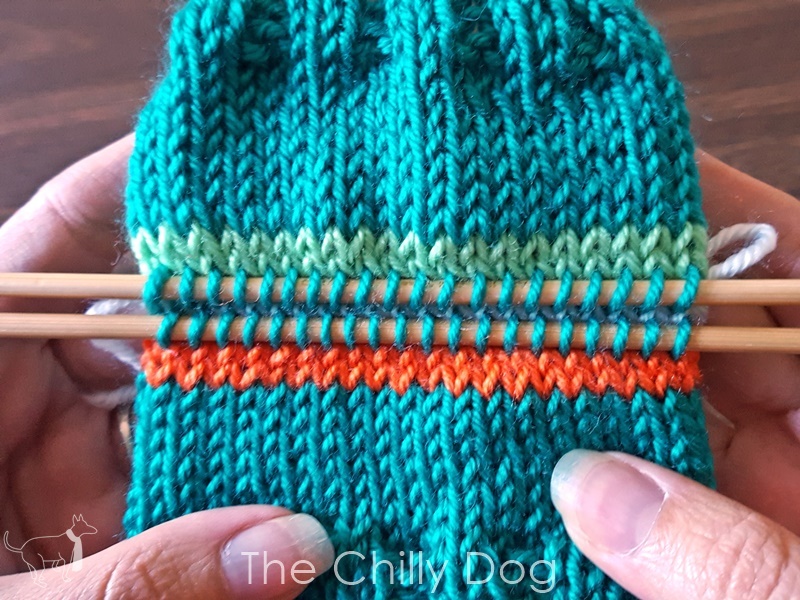 Also, I added two stripes of color to make identifying a few important stitches easier, especially for the second part of this lesson. 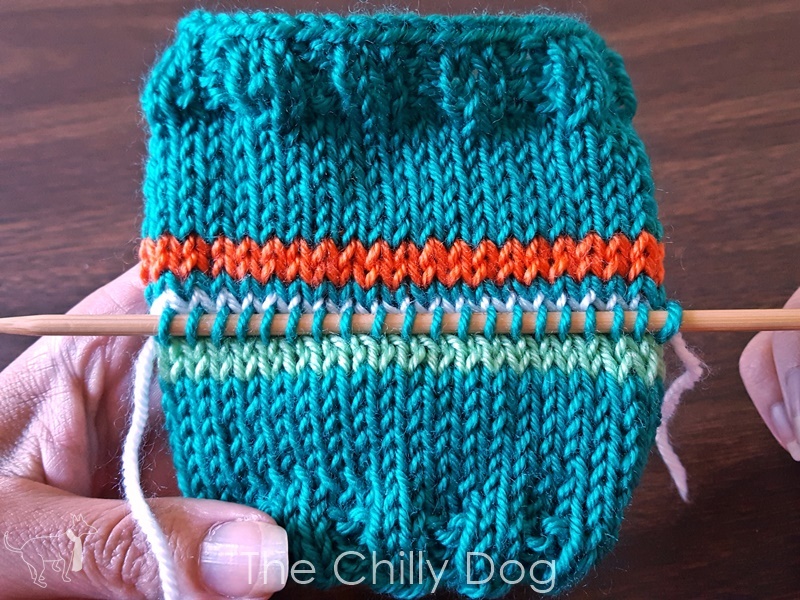 I started my sample on the green stripe side, inserted a white piece of scrap yarn to mark the heel placement and finished my sample on the orange stripe side. There's a reason that piece of white yarn is considered waste yarn. 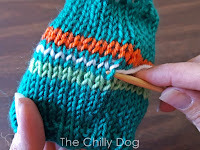 It needs to be removed from the sock, but before you do, you need to pick up the stitches on either side. 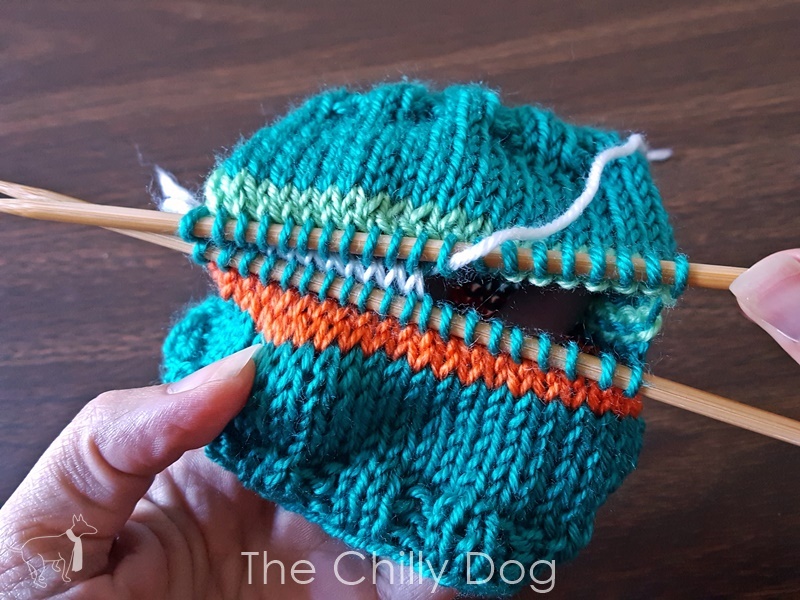 Starting on the side closest to where you started knitting (the green stripe side) look at the 'V' shaped stitches just below the waste yarn. 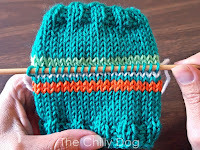 Working from right to left, pick up the right leg of the first 'V' under the waste yarn. 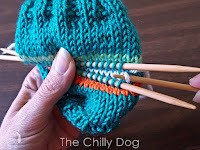 Pick up the right leg of the next 'V' under the waste yarn. 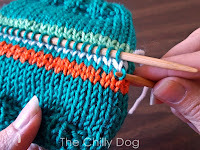 Continue across until you have picked up the same number of stitches that you worked with the waste yarn. For my example I have 20 sts. 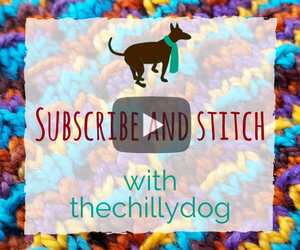 Next, you need to pick up the same number of stitches on the other side of the waste yarn. 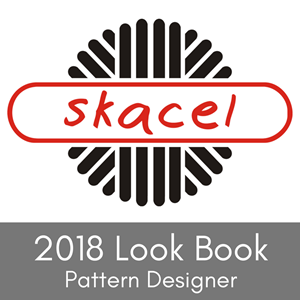 Start by turning your work 180°. 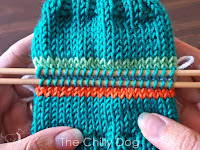 Again, working from right to left, pick up the right leg of the first 'V' shaped stitch under the waste yarn. 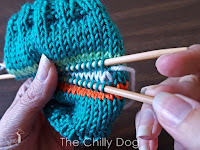 Continue picking up the right leg of the 'V' stitches below the waste yarn all the way across. 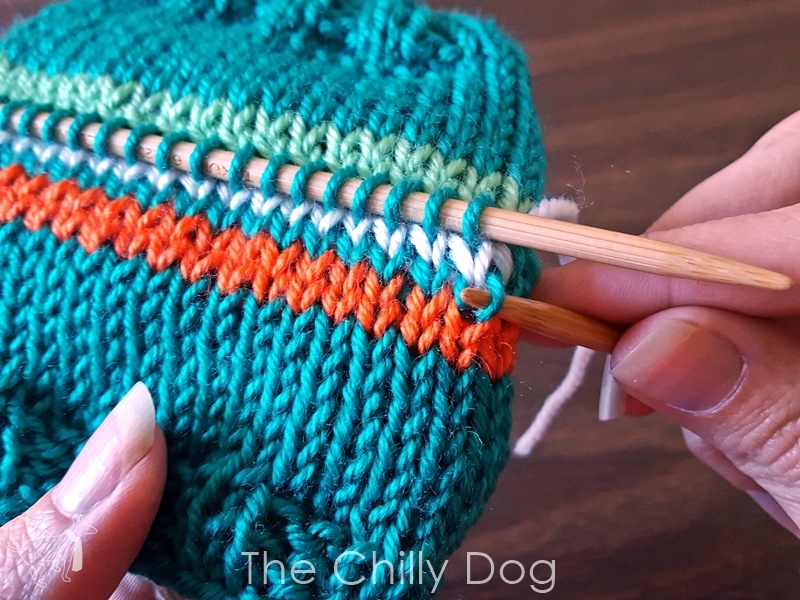 Count and make sure you have the same number of stitches on both needles. Now it's time to remove the waste yarn. 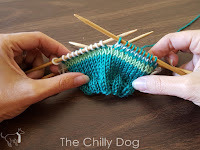 You can start from either side of the heel. 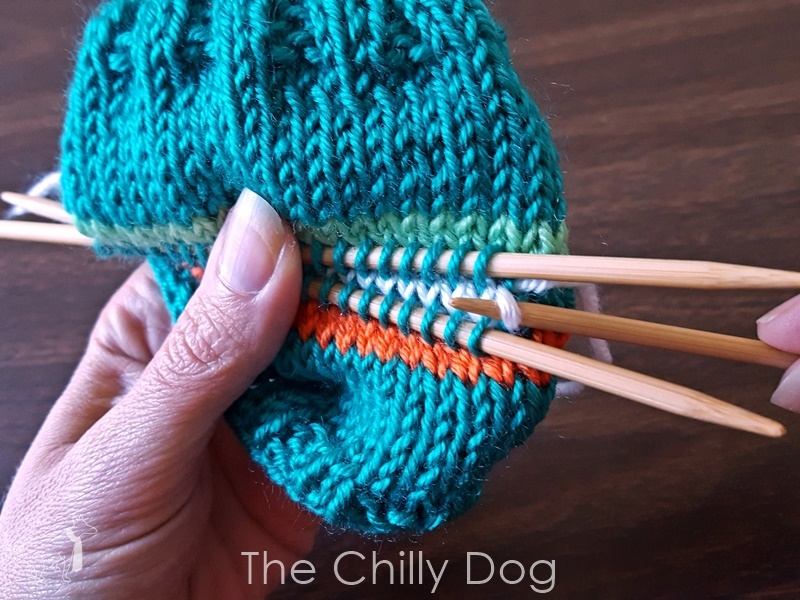 Gently pull apart the needles to reveal the waste yarn. Using a third dpn, carefully lift the first leg of waste yarn and pull it loose. 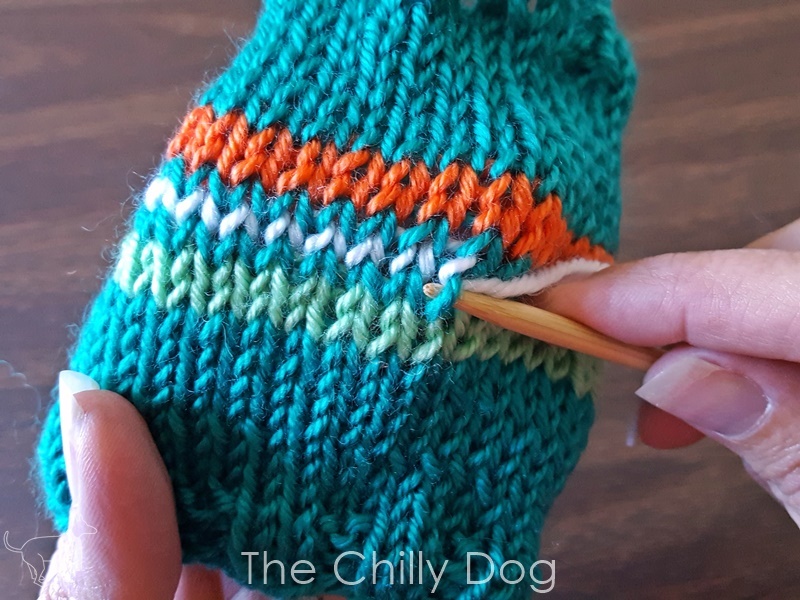 Work across the sock, pulling the waste yarn out one leg at a time. 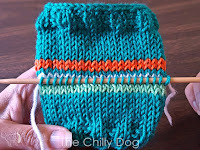 Finally, the waste yarn will be completely removed and you will have a nice open space where that heel will be. 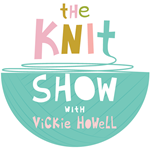 In my next post I'll show you how to knit the perfect, no gap, afterthough heel. 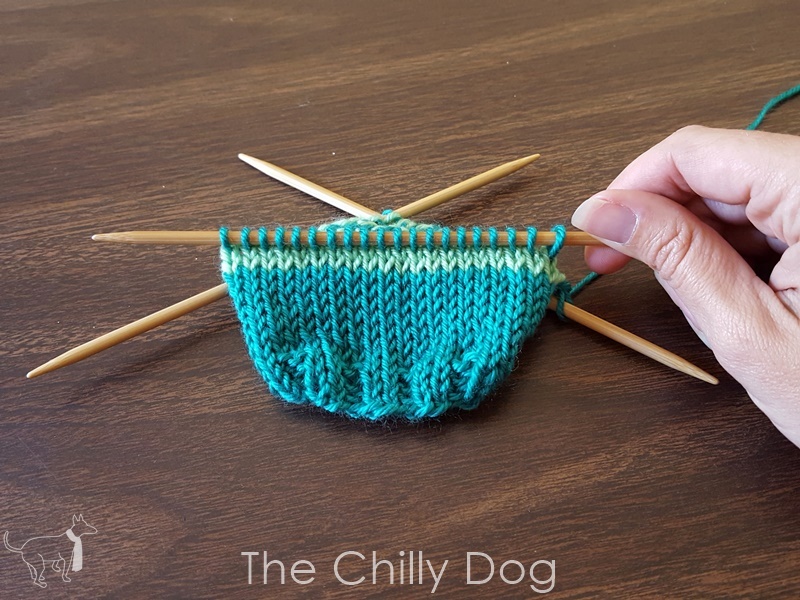 What you need to know to start knitting an afterthought heel.